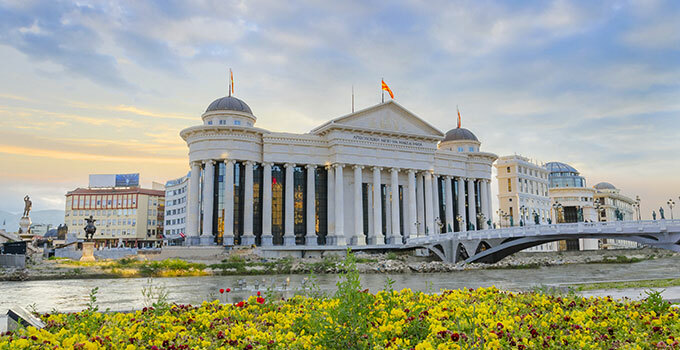 Skopje, the capital of the Republic of Macedonia is also the largest city in the country, as well as the political, economic, cultural and academic centre. The capital has been through Roman, Byzantine and Ottoman rule over the time. It has rich and diverse history, so it’s easily noticeable for it’s architecture. 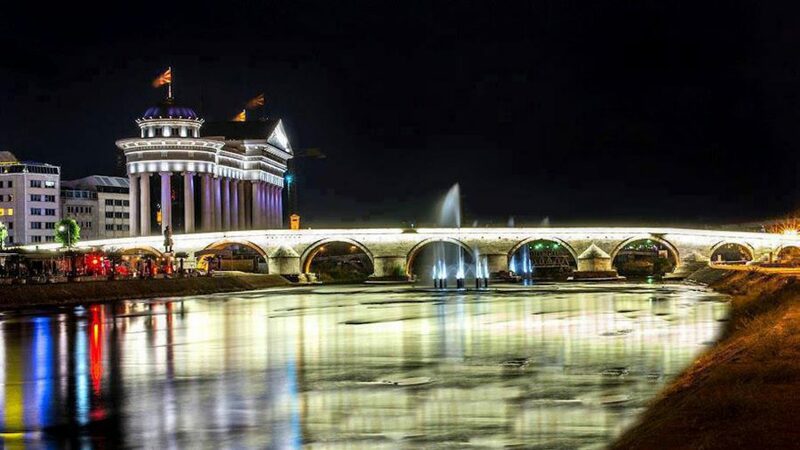 Just because of that, there are a lot of activities if you want to go around Skopje. Crossing the Vardar River the Stone Bridge (also known as the Dušan Bridge) is considered the most outstanding symbol of Skopje. It is situated in the central square covering two banks of Vardar river, so it divides Skopje into two different parts: the “Western European” left bank and the “Oriental” right bank area of the city. Crossing the bridge will give you a feeling like walking through time and space. 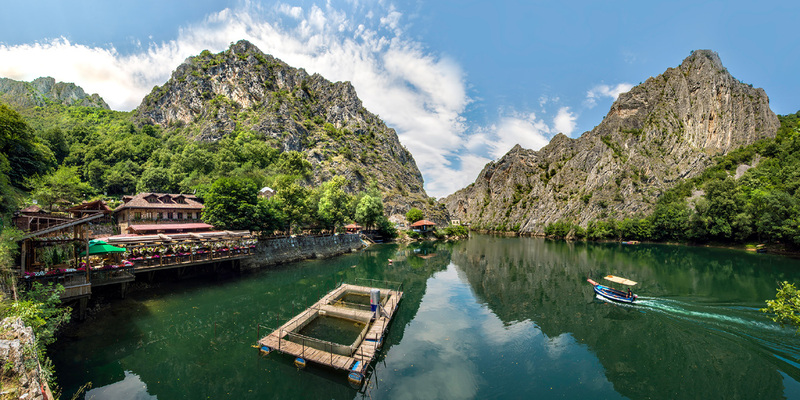 Matka Canyon is one of the most popular trip destinations from Skopje. It’s a natural wonder with the deepest underground cave in the world, according to the locals. You can take a boat ride down the canyon, a hike around the pathways that lead throughout the gorge, or explore the medieval churches. The kids will enjoy and love the view and the nature. This museum explores the present, the historical, the cultural and revolutionary traditions of Macedonia and the Macedonian people. You can visit the museum through a guided tour which lasts under an hour. The luxury of a guide means that you will have the possibility to ask as many questions as you like. The children will be able to learn something about the Macedonian history. It is open daily from 10 a.m. to 6.00 p.m. 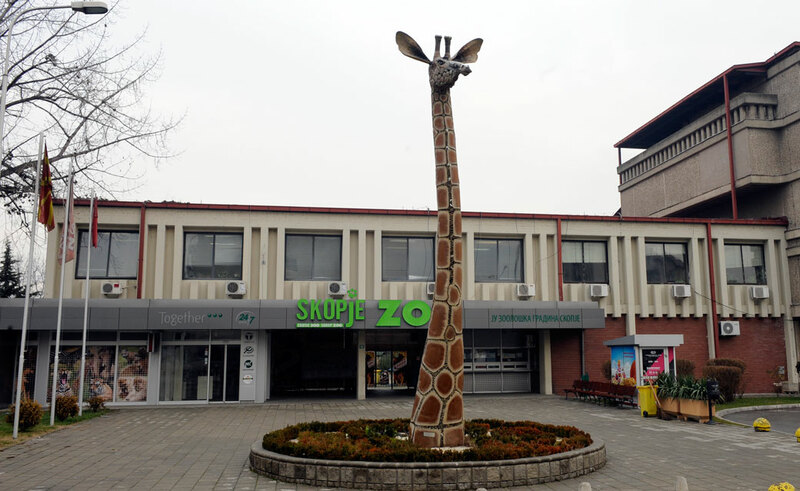 The Skopje Zoo was established back in 1926 and has always been a government institution. It has a big impact on the educational, cultural and recreational life. The Zoo is rich with 495 animals, educational centre, park for the kids, workshop and a veterinary ambulance. The kids will be very happy to see all those different animals, they can learn something from there and have fun at the same time. 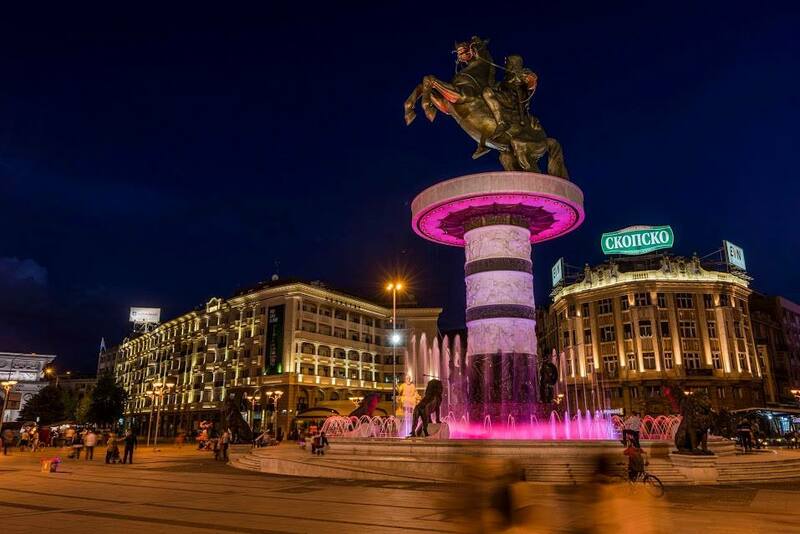 Skopje’s main square is the most popular meeting spot and you can not miss it because of the gigantic warrior on a horse statue and a fountain. It is spotted between a lot of cafes, restaurants and outlets, as well as a great accommodation options. As the main square, this is the place where new Skopje meets the old one. It’s quite interesting for the kids in the summer, because the lights and the water dual together and it looks like a maze of fun. Skopje’s Old Bazaar is one of the oldest and largest in the Balkans and has been one of the city’s trade centres since the 12th century. If you arrive before 10 a.m. you will have the chance to wander around and get familiar with the layout before everything gets open. The Old Bazaar has a lot of delights, from 15th centuries Turkish baths, to Goce Delchev’s tomb, a lot of cafes, etc. If you like shopping, this is the right place to visit in Skopje. 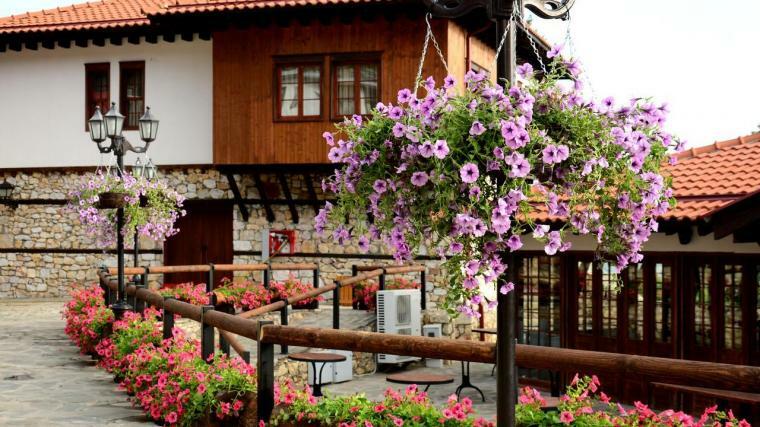 The Macedonian village is an attraction which showcases the different styles of village houses and traditional crafts. Make sure you visit during business hours so you can visit each of the craft studios which include a Silversmith, Pottery and Weaving workshop. If you love exploring ancient ruins, a trip to Scupi should be on your list. 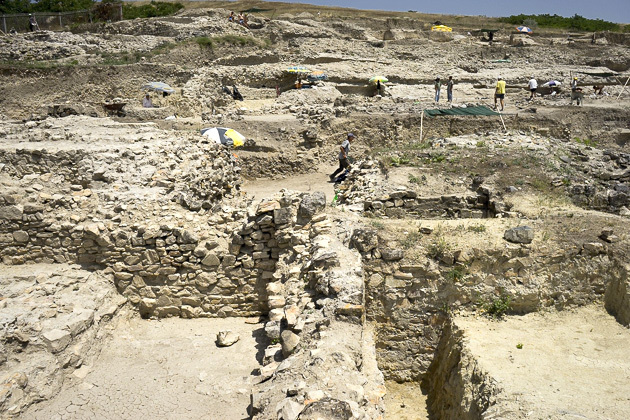 Skupi is one of the largest Roman cities in the Balkans with the status of a colony. You can now see buildings from four distinct periods of time but most predominate is the Roman theatre. The Skopje Fortress Kale is a historic fortress located on the highest point in the city overlooking the Vardar River. The first fortress have been built amidst the 6th century A.D land that had been inhabited during the Neolithic and Bronze ages or roughly 4000 B.C. It has some Latin inscriptions that assert the idea that the fortress originated from the Roman city of Skupi. Your kids will enjoy there, as their imagination will increase. They will be amazed to imagine themselves as an emperor or a king who rules a kingdom. If you are looking for a truly unique souvenir from Macedonia, go shopping for Macedonian rubies. 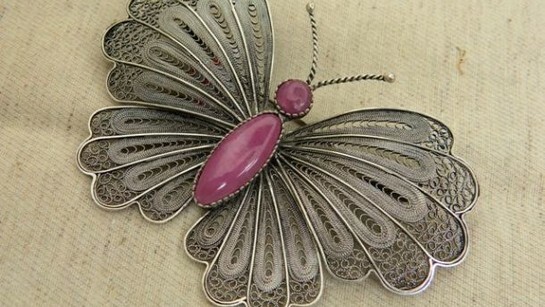 These precious gemstones are mined near Prilep and are known for their raspberry-pink color. Even though they are made in Prilep, you can also find them in Skopje. Most of them are sold in silver filigree settings.